IMCDb.org: 1973 Seat 132 L 1ª generación in "Perros callejeros, 1977"
A very rare in Spain Fiat 132 Special 1.600 / 1.800 (1.972). Look at the italian wheel rims, please. Yes, by the wheels is a Fiat 132. Seat never used that wheel-covers. 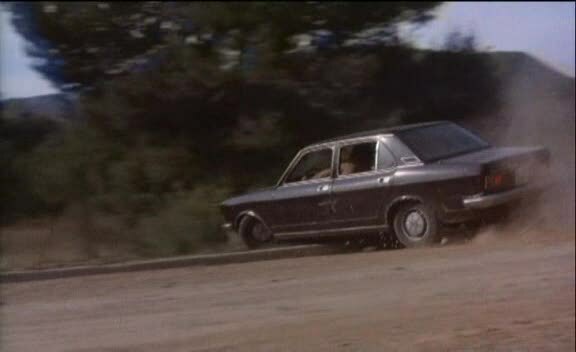 Perhaps the explanation for that several Fiat models appear in the movie, it's because possibly that Fiats were brought from France by Alain Petit, the french stuntman who did the action scenes.